This is the perfect introduction for beginners who want to learn the essential principles behind Tai Chi without overcomplicated instructions or confusing detail. 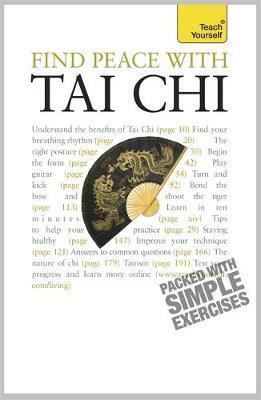 You will learn the basic ideas and get into the Tai Chi way of thinking before picking up the 'form' and exercises through a series of simple illustrations designed for all abilities, leaving you with the perfect antidote to the stresses of 21st-century life. NOT GOT MUCH TIME? One, five and ten-minute introductions to key principles to get you started. AUTHOR INSIGHTS Lots of instant help with common problems and quick tips for success, based on the author's many years of experience. TEST YOURSELF Tests in the book and online to keep track of your progress. EXTEND YOUR KNOWLEDGE Extra online articles at www.teachyourself.com to give you a richer understanding of tai chi. FIVE THINGS TO REMEMBER Quick refreshers to help you remember the key facts. TRY THIS Innovative exercises illustrate what you ve learnt and how to use it. Robert Parry has taught tai chi extensively at adult education level. His techniques are infused with a rich understanding of acupuncture and oriental medicine, both of which he has studied formally.